Need a quick brain break in the classroom or burn off some excess energy before homework? Try this no-prep, pumpkin workout! 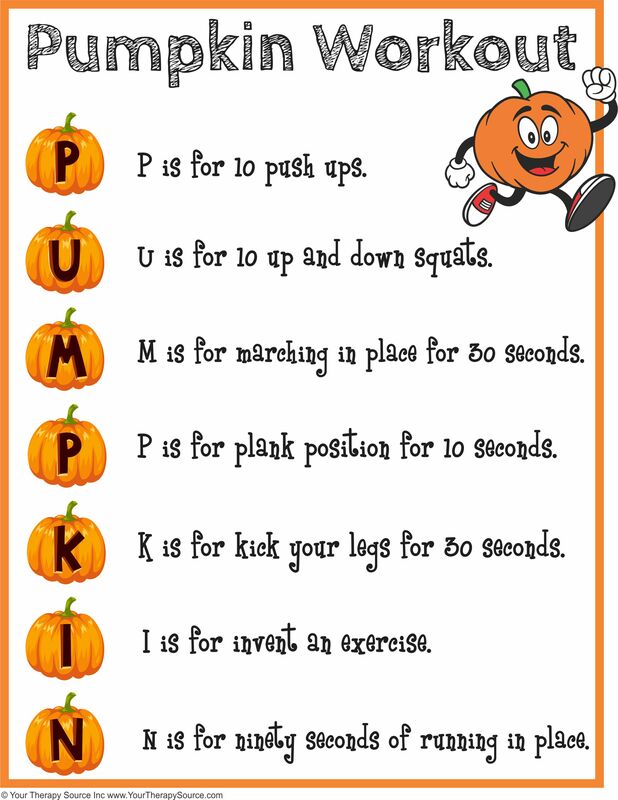 Can you complete each exercise for the letters in the word P-U-M-P-K-I-N? P is for 10 push ups. U is for 10 up and down squats. M is for marching in place for 30 seconds. P is for plank position for 10 seconds. K is for kick your legs for 30 seconds. I is for invent an exercise. N is for ninety seconds of running in place. 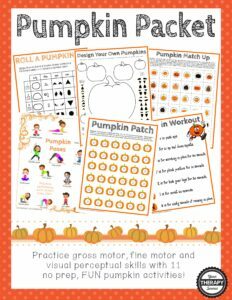 The Pumpkin Workout is from this Pumpkin Packet that includes 11 no-prep, FUN activities to get children practicing fine motor, gross motor and visual perceptual skills. This packet is great for brain breaks, indoor recess, classroom party and more!